fig1. Mars Reconnaissance Orbiter (MRO): NASA. SHARAD (SHAllow-RADar) is one of the main instruments on board the Mars Reconnaissance Orbiter (MRO), NASA’s planetary exploration spacecraft launched in August 2005 and operating in Mars’ orbit since the end of 2006. 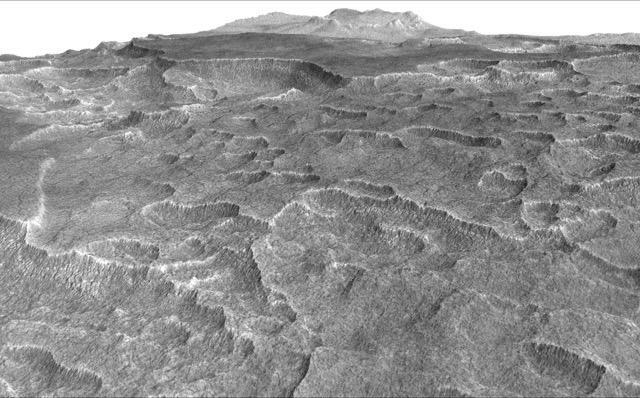 The purpose of the MRO mission is global mapping of the surface (in visible and near infrared), investigation of the subsurface, identification of future landing sites for spacecraft and future communications and navigation support to Martian missions. 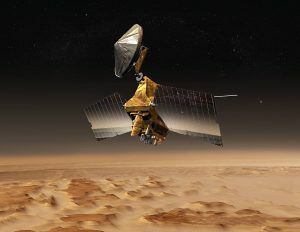 SHARAD was designed to complement the capabilities and performance of MARSIS by operating at higher frequencies around 20 MHz to better resolve variations in near-surface composition, stratigraphy and structure – particularly with regard to resolving the internal layers of the polar caps. 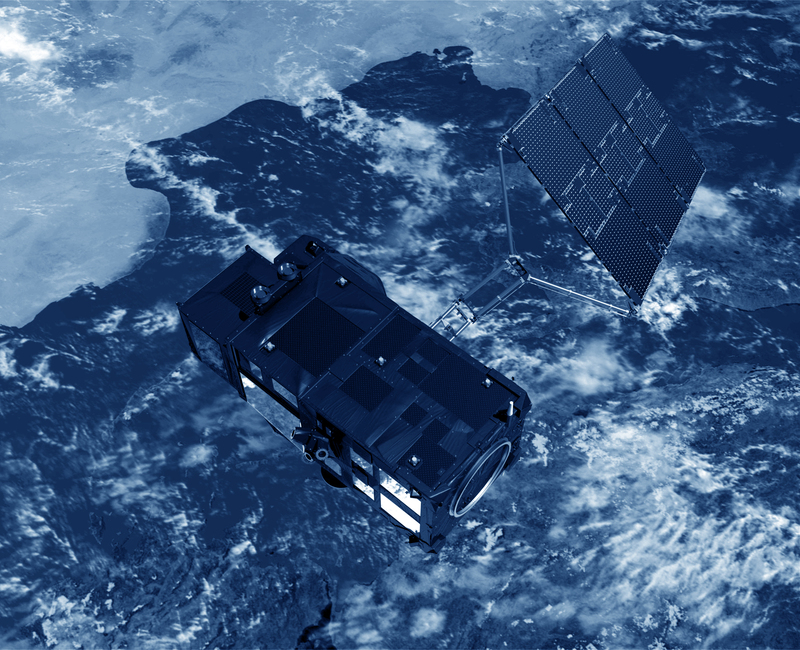 The horizontal resolution of the instrument is between 0.3 and 3 km and the vertical resolution is about 15 m (10 times better than MARSIS). 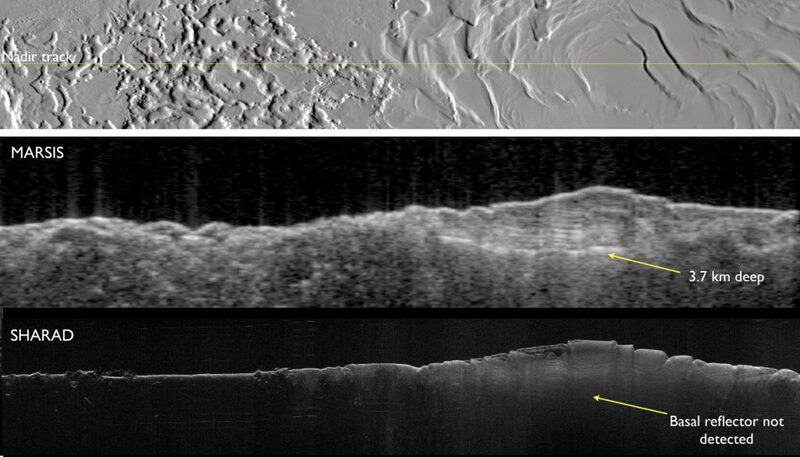 The SHARAD radar penetrated the north polar layered ice deposits of Mars and revealed a relatively small (about 100 meter) maximum deflection of the underlying rock, which suggests a strong lithosphere greater than 300 kilometers thick Radar results consistent with massive deposits of water ice in middle latitudes support a debris-covered glacier hypothesis. Seu, Roberto, et “SHARAD sounding radar on the Mars Reconnaissance Orbiter.”Journal of Geophysica Research: Planets 112. E5(2007). Campbell, Bruce, et “SHARAD radar sounding of the Vastitas Borealis Formationin Amazonis Planitia. “Journal of Geophysical Research: Planets 113. E12(2008).